What is The Aster Initiative Program? The Aster Initiative program believes in progressive education. 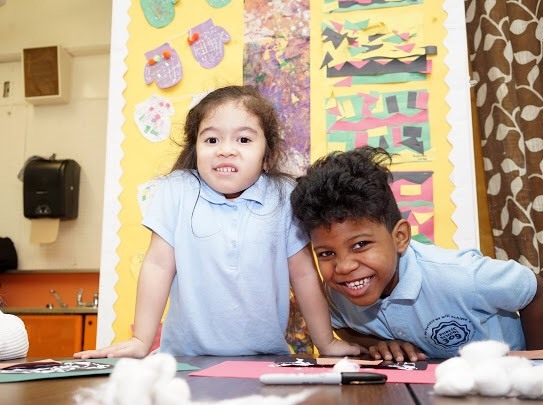 In our endeavor to support the development and education of the whole child, we understand that there are many ways to cater to the individuality of every student. Therefore, we incorporate multiple philosophies into our program such as Bank Street, Montessori, and Reggio Emilia. The Aster Initiative program is designed for students 3K through 5th grade offering a multitude of extracurricular activities and ultimately being an extension of the classroom. Students continue to grow, learn and have fun while attending our program. All adults contributing to student’s development should model the behaviors which reflect positive values. Students learn best when they are guided to have a deeper understanding about the people and world around them. Students thrive best in communities that promote collaboration, diversity, and respect for the lives of others. The Katmint Learning Initiative was founded in 2013 by two parents who saw the desperate need for a preschool alternative for families in the Bedford –Stuyvesant area of Brooklyn that offered quality enrichment, flexibility to compliment the complex work schedules of parents in NYC and affordability to ensure that everyone can have the opportunity to give their children something better. Kamint has always felt that our work is never over, and we wanted to feel a sense of continuation even long after our students would graduate from our school. We began offering after school pick up services in 2014 which lead us to the opportunity to be in public schools to offer our unique programming on a larger scale. Our mission is to take this highly effective and successful program to schools in our community and beyond.